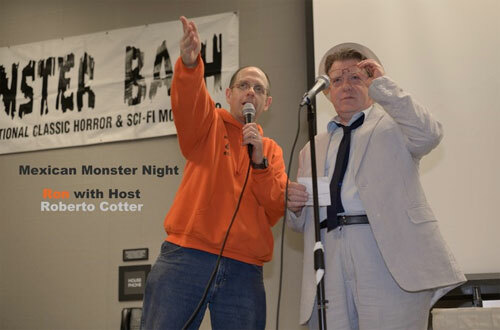 The Monster Bash 2013 featured Guests of Honor Arch Hall, Jr., Joel Hodgson, Beverly Washburn, Jack Hill, Ricou Browning, Julie Adams, Stan Gordon, Frank Dello Stritto, Jay North, Jeannie Russell, Tom Weaver, Greg Mank, Laurie Mitchell, Judith O'Dea, The Abbott & Costello UltimAte Tribute Show, Tom Savini, John Russo, George Kosana, Kyra Schon, Cortlandt Hull, Chilly Billy Cardille, David "The Rock Nelson," Son of Ghoul, Count Gor De Vol, Mr. Lobo, and many others! Photos provided by Phil Smoot, Kevin Slick, Jamie Slick, Malcolm Gittins and others - thank you! 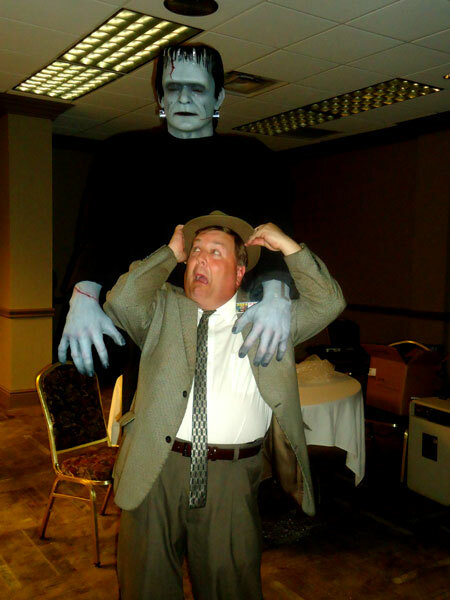 The monster from ABBOTT AND COSTELLO MEET FRANKENSTEIN (full-size!) meet the MONSTER BASH! Thanks to figure artists Tony Pitocco and Bill Luciani! 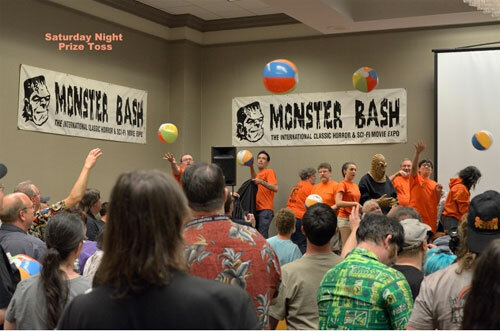 Saturday night at MONSTER BASH....the free-prize toss. 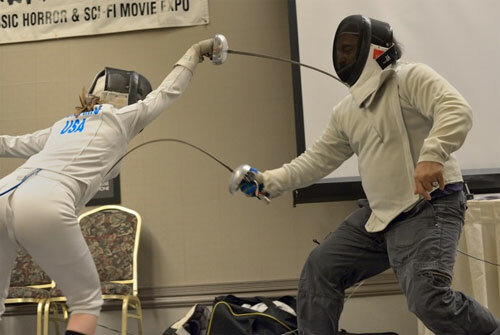 Teenage fencer, Paisley Adams had a live fencing bout on stage with actor/director/special effects genius, Tom Savini at Bash. The titans duel. Paisley Adams and Tom Savini. 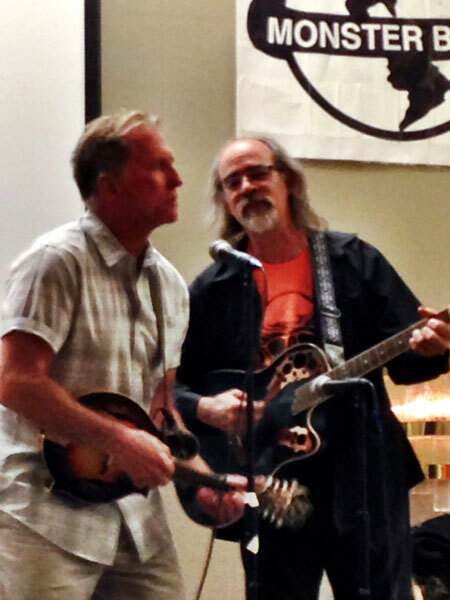 Ron Adams with Roberto Cotter on Mexican Movie Night at Bash and a birthday surprise for Roberto! 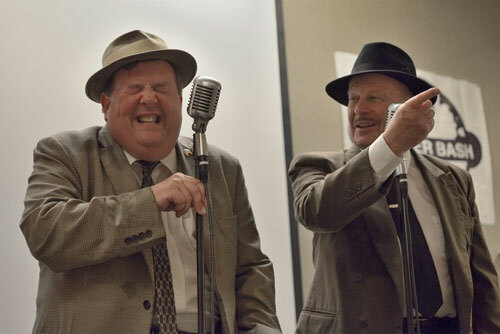 Abbott & Costello impersonators Joe Ziegler and Bill Riley have the crowd in stiches (and themselves!). 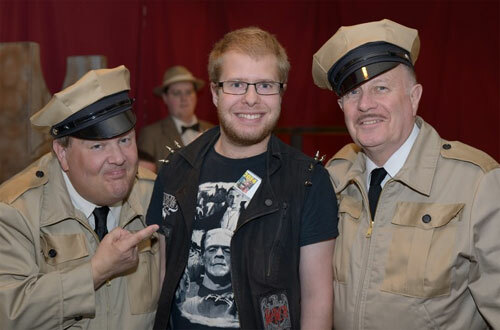 Abbott & Costello meet attendee Dalton Smoot! 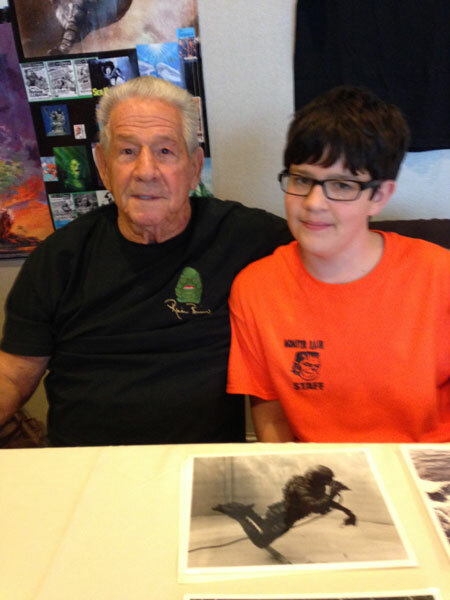 Attendee Dalton Smoot with author/historian Frank Dello Stritto. 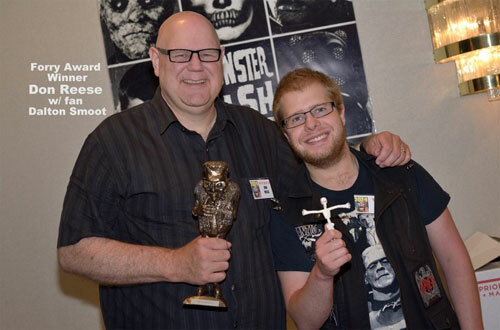 Comedian Don Reese (who received a MONSTER BASH AWARD, "The Forry") and Daton Smoot who recived a free rubber skeleton in the MONSTER BASH prize toss! 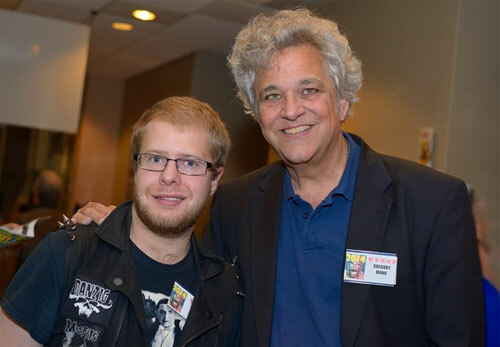 Dalton Smoot meets author/historian Gregory Mank. 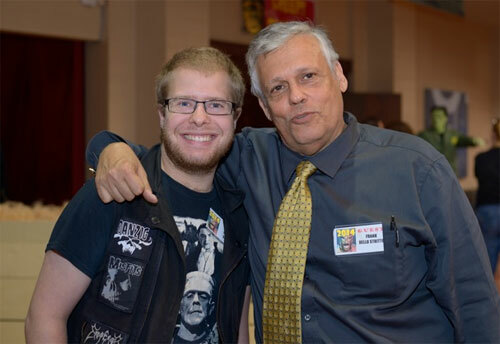 Alive and rockin' - renegade movie maker David "The Rock" Nelson with Dalton Smoot. One Mole Man, ready for action at MONSTER BASH! 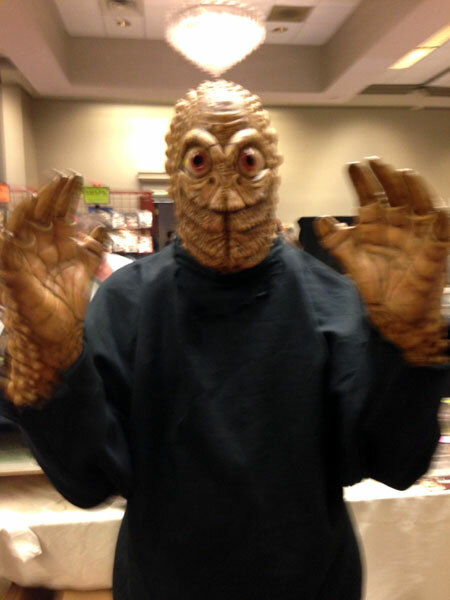 Kevin Slick in mask and hands sculpted by John Tatarelli. Mole Man attack! One underground rodent puts a hurt on Jamie Slick. 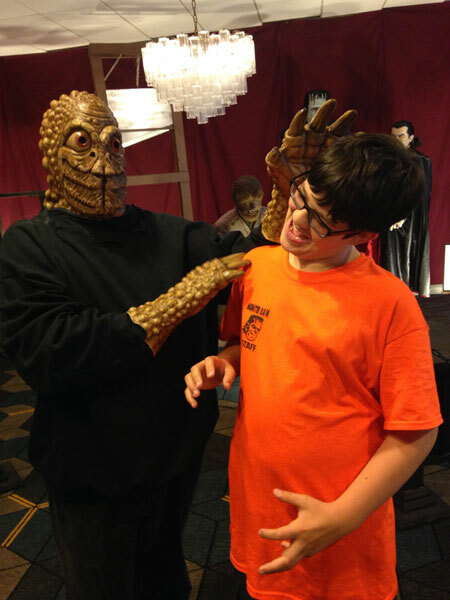 Ricou Browning (CREATURE FROM THE BLACK LAGOON) with MONSTER BASH staffer, Jamie Slick. Jeff Schmich and Kevin Slick. Jeff wrote a song about MONSTER BASH called "Bashology." He and Kevin performed it on stage Friday night to a packed house. 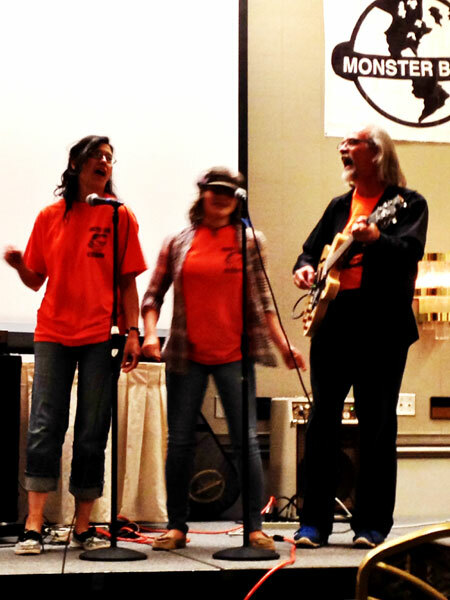 Ursula and Paisley Adams guest for vocals on "La Bamba" with Kevin Slick and The Bash Boys on Friday night. 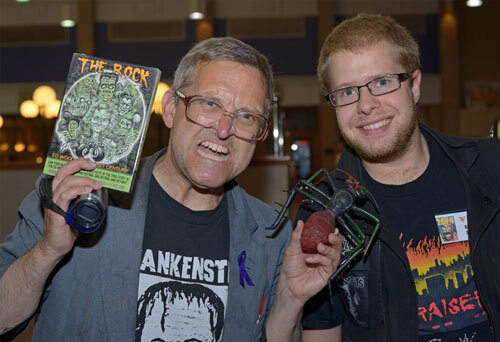 Long time Basher, artist and super Monster Kid, Malcolm Gittins with second generation Monster Kid, Paisley Adams. 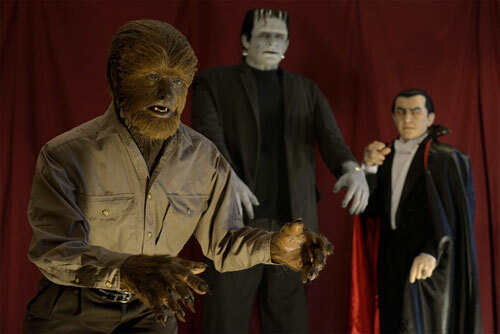 Glenn Strange as The Monster (made by sculptor Tony Piccaro and Bill Luciani) terrorized Lou Costello (Joe Ziegler) in a back room before the figures hit the public at BASH! 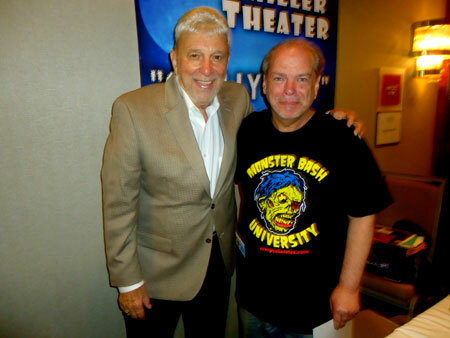 Pittsburgh's TV Horror Host Legend - "Chilly Billy" Cardille with Malcom Gittins. The best Abbott & Costello impersonators in the world - Bill Riley (Abbott) and Joe Ziegler (Lou). Having fun with fan and model Lily! 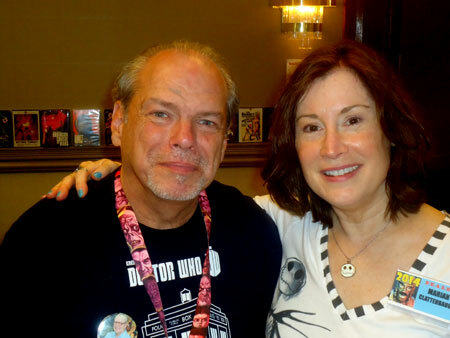 Malcolm Gittins poses with actress Beverly Washburn at MONSTER BASH! 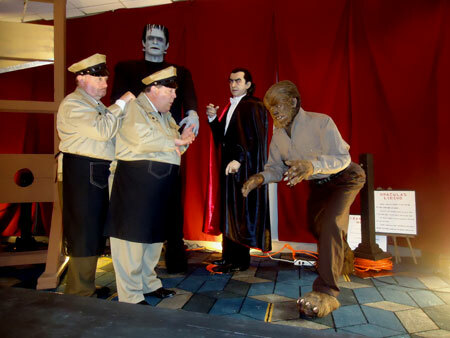 Setting up scenes from ABBOTT & COSTELLO MEET FRANKENSTEIN. Bud & Lou (Bill & Joe), with figures by Bill Luciani and Tony Pitocco, wooden sets by Dan Weber. Malcom Gittins with Marian Owens Clatterbaugh (MONSTERS FROM THE VAULT)...two photographers at BASH getting photographed! 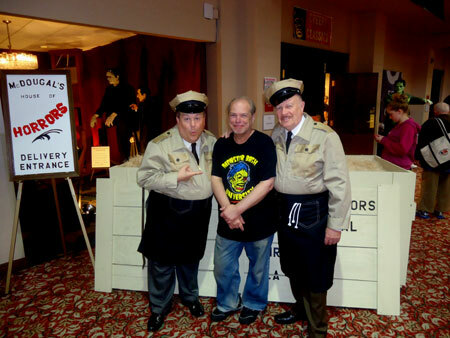 "The Boys" with Malcolm Gittins. Crate by Dan Weber, signs by Cathy Weber! 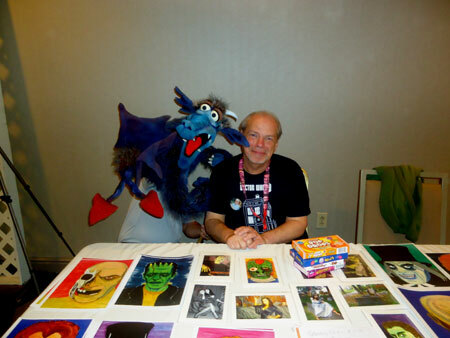 Monster Muppet "Gorgo" from MONSTER TV (Bill Diamond) and Malcolm at his display of monstrous art! 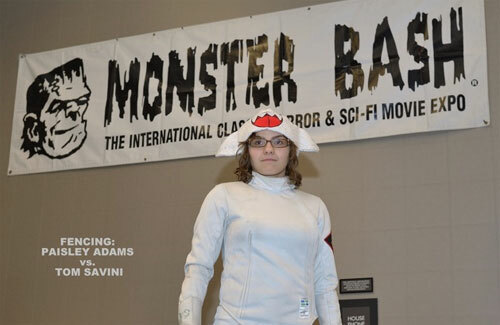 More Photos from Monster Bash 2014 - CLICK HERE!